As promised, HDM Global has released Android 9.0 Pie official firmware for their Nokia 5 devices. 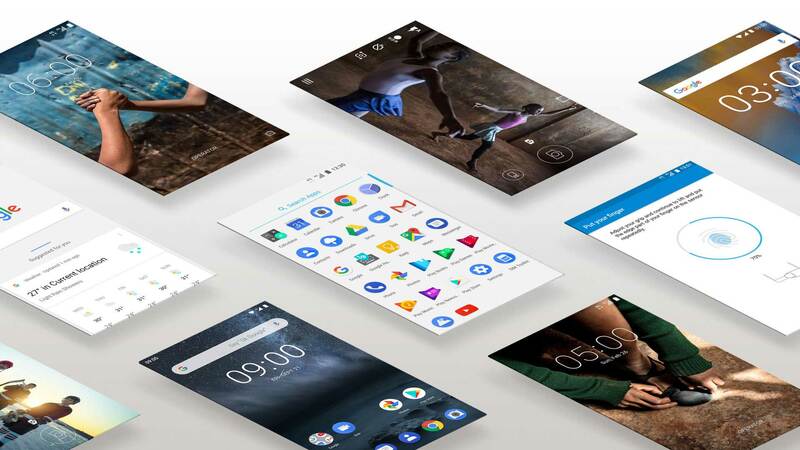 With this guide, you will be able to upgrade your Nokia 5 to the latest Android 9.0 Pie OS. This build comes as a version 6.12E along with the latest security patches. Read ahead, download links along with a detailed tutorial are given below! Nokia 5 Android Pie update is already rolling out via OTA (over-the-air) in several regions. In case, you are unable to update via OTA; you can follow the tutorial given below and update Nokia 5 to Android 9.0 Pie official firmware manually. 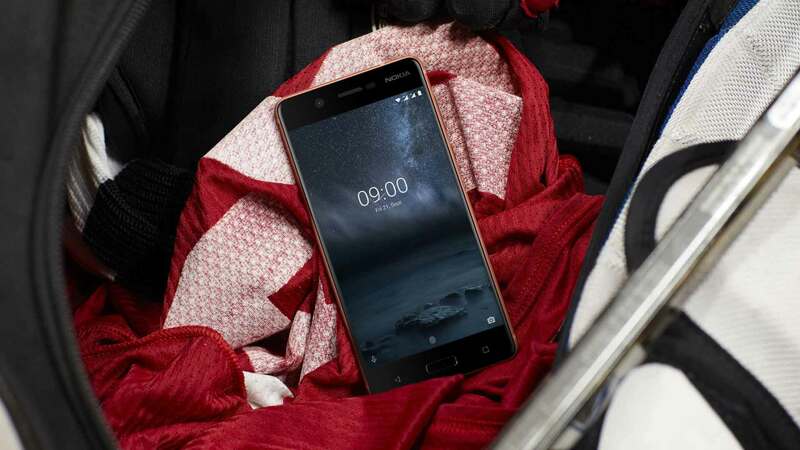 News: Nokia 5.1 Plus with 6GB RAM and 64GB of storage is now available in India! The official Android Pie for Nokia 5 comes as V6.12E weighing 1663.2 MB which is a significant system update. Like all other phones, Android Pie brings the same features in the Nokia 5 as well. Moreover, V6.12E brings January 2019 security patches. 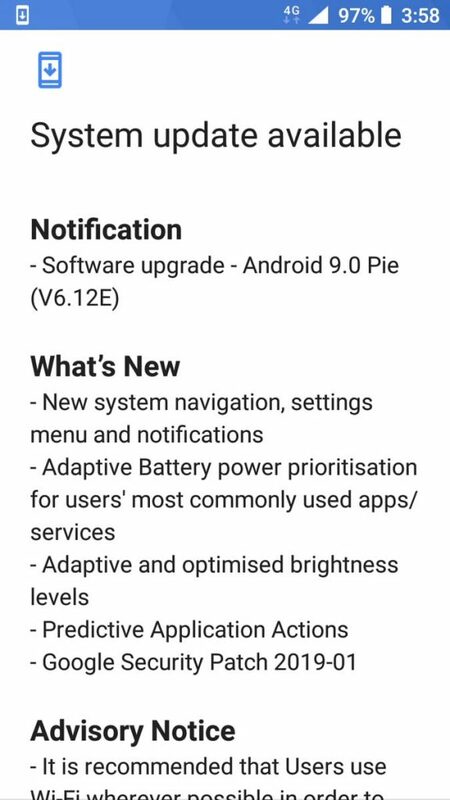 For more details on Android Pie, check out the changes and features given below! This Android 9.0 Pie update for Nokia 5 have all the goodies that are present in stock Pie firmware. We are sure you would love to use it on your phone. Android 9.0 is a significant system update from Android 8.1 Oreo that brings a bunch of new features and improvements. Being based on the latest irritation of Android, the update carries all the Android 9.0 features. The App action and Slices that analyze your usages and provide a right response for faster process. Adaptive battery examines the usages of the battery using Machine Learning technology and prioritizes battery on important apps. It also automatically set the phone brightness based on the interaction with your area. There is a new full-screen gesture-based system navigation which is unique in Android Pie. The navigation system is disabled by default, which can be easily enabled from the phone setting option. Note: Apart from the major system upgrade, this build comes with the January 2019 security patches. Love the features? We love it too, and we know you are looking forward to installing Android 9.0 Pie on Nokia 5. But before heading to the installation tutorial, we recommend you to check out the Pre-requisites section below. As you continue reading below, we will guide you to install Android 9.0 Pie official firmware on Nokia 5. We have written this tutorial carefully so that a first time user don’t get stuck in any step. Download the OTA package of Android 9.0 Pie for Nokia 5 from the link given below! Make sure to copy it to the internal storage of your phone (root, not in any folder). Note: XDA member majason has captured this OTA. All credit goes to him, thanks for making the link available to download. Install Nokia 5 USB driver on your computer. You may need this while transferring the downloaded package from computer to phone memory using a USB cable. Make sure that your phone has the latest Android 8.1 Oreo installed. Your phone must be in stock condition (no root, no custom firmware). Otherwise, this tutorial will not work. Once you are sure that you have completely backed up your data, proceed to the tutorial below to and update Nokia 5 to Android Pie using recovery. Download the Nokia 5 OTA ZIP packages from the above-given links to your computer. Next, connect your phone to the computer using a compatible USB cable (preferably, the official one, provided by Nokia with the phone box). Transfer the OTA package to your phone’s internal storage (root, not inside any folder). Switch OFF your Nokia 5. Press and hold Volume Up and Power button together until the phone vibrates. The phone will enter a No command screen. Hold the Power button and press the Volume Up key once in order to enter the recovery mode. Using the Volume rockers, choose Apply update from SD card and select it by hitting the Power button. Navigate to the Android Pie OTA ZIP that you had pasted in your internal storage in step #3. Finally hit the Power button to confirm the installation of Android Pie on Nokia 5. Once the installation process is finished, select Reboot system now. So you are done with this tutorial! You had successfully installed Android 9.0 Pie on your Nokia 5 using our guide. If you faced any problem with performing this tutorial, please let us know by dropping a comment below. Our team will reply you back as soon as possible. Next articleNokia 5.1 Plus with 6GB RAM and 64GB of storage is now available in India!